OwlCrate is a YA book subscription service that sends you magical monthly boxes tailored to a chosen theme. Each OwlCrate will contain one new Young Adult novel, as well as 3-5 other bookish treats to help you get your nerd on. This months theme was Friendship and the box had a friendship themed book and many friendship themed goodies inside. 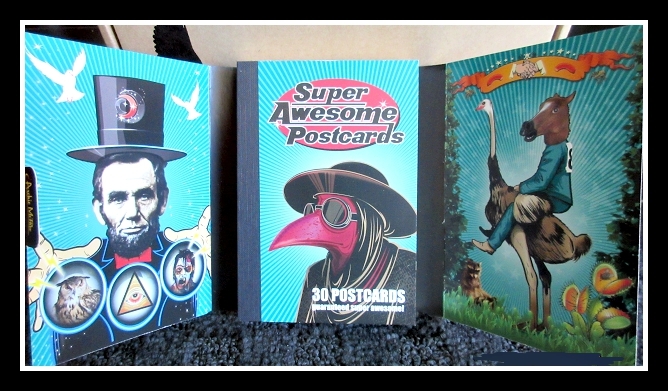 Owlcrate also included information on their Postcard Party to win a 3 month subscription. 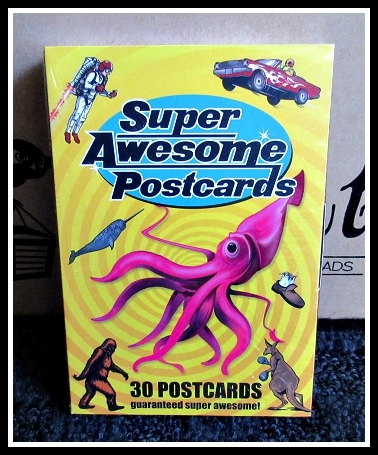 A Booklet of 30 Postcards was included this month see below for a pic of what some of the postcards looked like. The Harry Potter ‘until the very end’ Bracelet is a little big for me but it’s very theme appropriate. 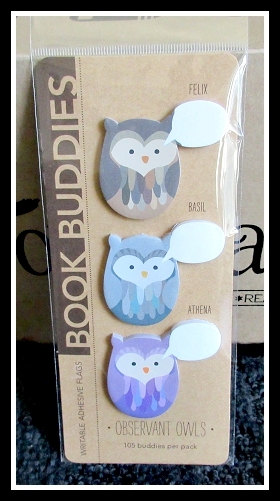 These owl book buddies are my favourite item in this months owlcrate. They are so so cute, some subscribers received cats instead of owls. 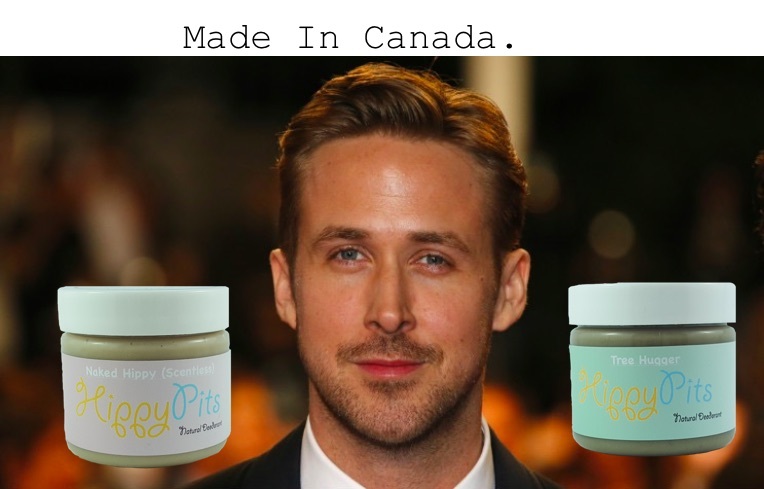 Another win for Owlcrate. 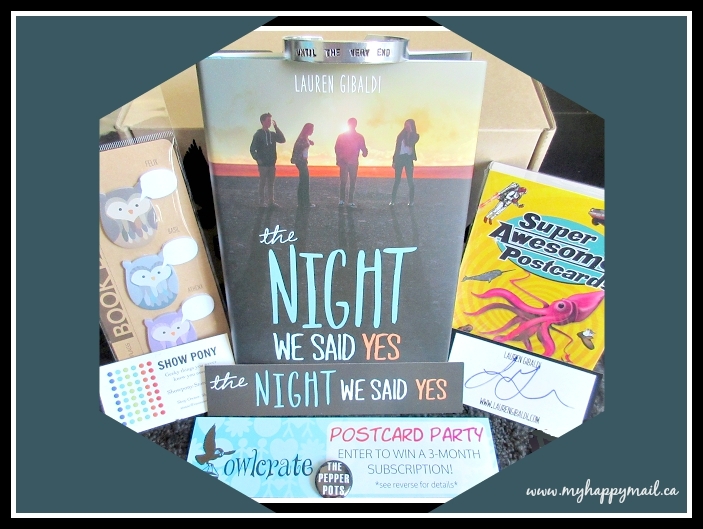 All the items in the subscription box fits perfectly with the friendship theme and they are all cute bookish items that are perfect for a book subscription box. Next months theme is Mystery, and I haven’t read a mystery book in a long long time. I’m looking forward to see what the book pick will be. What do you think of Owlcrate this month? So cute! Might have to start ordering for my little sister! If she’s into YA books she would probably love it. So cute! I’ve never heard of these! I’ll check them out! This is awesome! I didn’t know it existed. 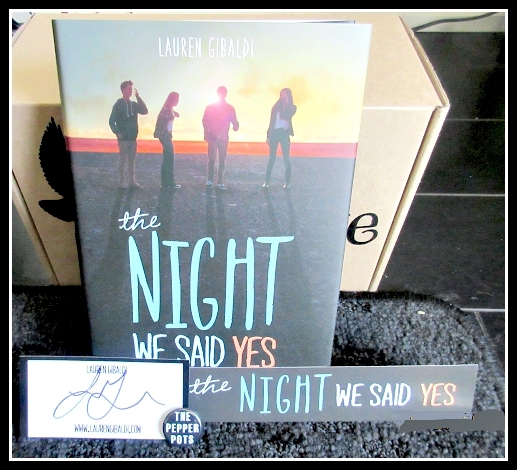 I just read The Night We Said Yes (not my fav, but that’s besides the point). This subscription is a very cool concept. 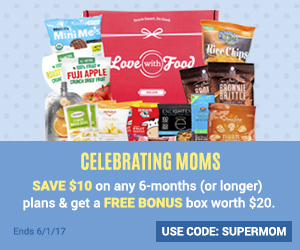 There is pretty much a subscription box for everything ! I’m actually having trouble with this book though I keep falling asleep while reading it:( .. I’m looking forward to see what the mystery book pick is for next month.